Danielle Stewart has written before about the benefits of commercial lighting and how businesses can retrofit with more energy efficient lighting. Here she provides Green Building Elements with a recent survey conducted by lighting professionals at Precision Paragon about the growth of the energy efficient lighting industry. Over the last few years, we’ve seen the energy efficient lighting industry grow despite the recession. This is because more and more people are getting on board with “going green.” This means they are making lifestyle changes that incorporate energy-efficient lighting, as well as other green technologies into their daily lives. According to the lighting professionals Precision Paragon (P-2) surveyed in December, the industry will grow even stronger in 2012. The survey P-2 conducted went out to more than 2,900 energy-efficient lighting professionals across the country. Many were interested in telling P-2 about their growth, 69 percent either met or exceeded their revenue expectations in 2011 and were preparing for growth in 2012. The lighting professionals surveyed are confident 2012 will be a good year for business. Over 80 percent predicted more opportunities for growth this year, both for the industry and for their individual companies. This is not only good news for lighting professionals; it is good news for the planet as well! 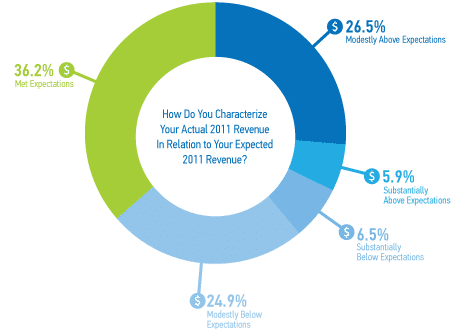 Lighting professionals surveyed predict the second and third quarters will be the most lucrative even though the past two months have been slow. The survey also shows Solid State Lighting is growing in popularity. Lighting professionals surveyed estimate that 22 percent of the fixtures they install will be LED-based – up 9 percent from last year. But, even though Solid State LED use is growing, 84% of lighting professionals surveyed say Linear Fluorescent will be the dominant technology they expect to install in relighting projects this year.